Receiving a letter asking if I would give the main address on the 70th Anniversary of the Commonwealth was a high honour. It was also one of the most daunting tasks I’ve faced. I’ve swum in the Antarctic, I’ve faced leopard seals, witnessed climate change first hand, and given many, many public speeches about overcoming fear and diving into the unknown. But this challenge was on another level. I was asked to prepare a five-minute address for the celebration at Westminster Abbey. HM The Queen, senior members of the Royal Family, the Prime Minister, High Commissioners, and dignitaries from across the world would be present. 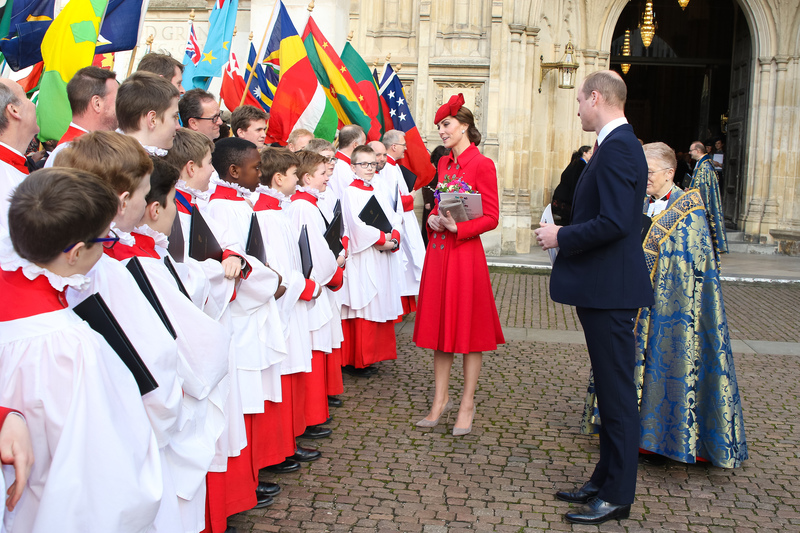 The BBC would broadcast the ceremony to every one of the 53 nations in the Commonwealth – from Antigua to Zambia. We had an important message to deliver, and one opportunity to get it right. Together with my team I worked on the speech every day for over a month. Paragraphs were shifted and rewritten, facts were checked, opinions canvassed. But a week before the big day, the speech still wasn’t right. A third of the world’s population lives in the Commonwealth. I grew up in three different Commonwealth countries – the United Kingdom, Malta and South Africa – and did my postgraduate studies at Goodenough College, London, alongside students from every Commonwealth country. How to connect so much marvellous diversity? What links us? The answer lies in our oceans. When we talk about the Commonwealth, we talk about Pakistan or Sri Lanka or Australia. We don’t usually talk about polar bears and humpback whales and blue fin tuna. And yet these are also part our common wealth. When we talk about protecting the environment, we don’t talk enough about promoting peace. And yet the destruction of natural resources is at the root of so much conflict; environmental protection is the missing link. And when we talk about leaving the planet in a healthy state for our children and grandchildren, we forget that they have already been born into this crisis. Sixty per cent of the Commonwealth’s 2.4 billion people are youth. It is impossible to overstate the grandeur of Westminster Abbey. 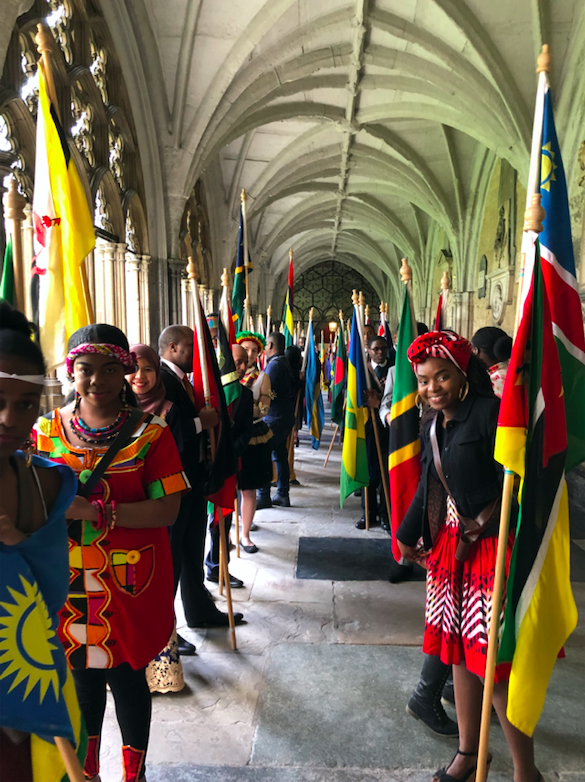 Not just the gilded hall, but also the astounding array of faiths, cultures, nations and generations gathered for the annual Commonwealth Service. Seated next to HM The Queen was her son Prince Charles, for whom protecting the environment has been a lifelong calling. There were world leaders and national treasures, dancers and musicians – including William Barton, a didgeridoo master whose performance down the aisle took me to the Australian outback. We were still fine-tuning the speech 2 hours before delivery. The Reverend Mark Birch advised me during the dress rehearsals to slow down my words so they didn’t bounce back at me from the Abbey’s vaulted ceilings. The day was an experience I will never ever forget. As I left Westminster Abbey, I promised myself that I would take our message around the Commonwealth. Our planet faces the greatest man-made challenge it has ever known. I believe that the solutions lie in our oceans, and that the Commonwealth is uniquely positioned to protect 30% of our oceans by 2030. We have exciting plans ahead. I will be working hard to ensure that our message is buoyed by a host of impassioned young voices. Together with our youth, we must create a future in which people unite to protect both the environment and each other. It is our only option.